Reed Construction Data has announced its 2012 list of the best Canadian construction firms from coast-to-coast. Differing from previous years, Reed opened the “Construction Leader” listing to nominations from clients, project partners, and financiers rather than basing the ranking on revenue alone. The Golf Committee of CSC-DCC’s Montréal Chapter is very proud to announce its tournament will take place again at Candiac Golf Club, located on Montréal’s South Shore, only 15 minutes from downtown. Menkes office portfolio in Missisauga, Ont., is now 100 per cent Leadership in Energy and Environmental Design (LEED) certified. 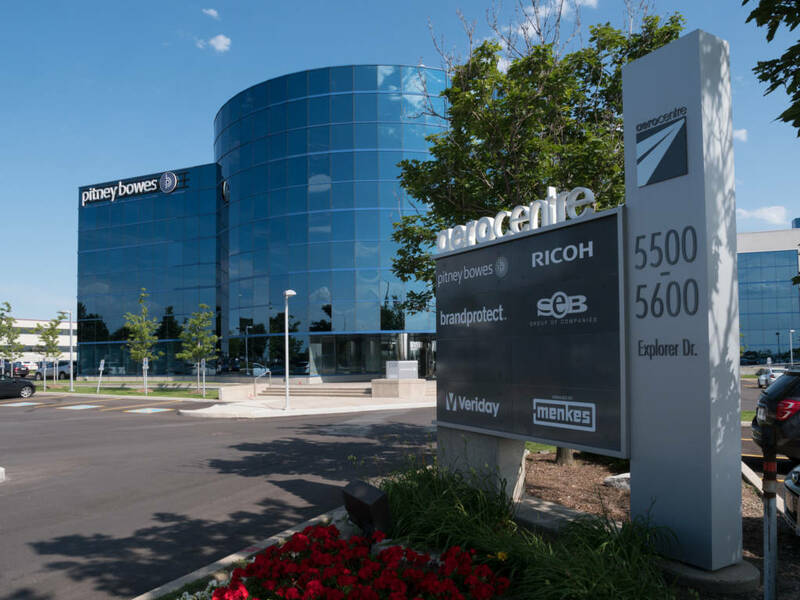 Menkes Developmets announced that five buildings at their AeroCentre complex in Mississauga, Ont., have received Leadership in Energy and Environmental Design (LEED) Gold certification. With this sustainability achievement, the company’s entire office portfolio has earned LEED at Gold or Platinum certification level. Completed in 2010, the 57,902-m2 (623,250-sf) suburban office campus is comprised of six buildings. The 7-ha (17-acre) property is centrally situated in Mississauga’s Airport Corporate Centre. In addition to the shuttle, the property promotes alternative transportation with 10 electric charging stations, and preferred carpooling spots. Occupants also have access to an onsite fitness facility, and well-being programs. Menkes office portfolio is also 100 per cent certified under Building Owners and Managers Association (BOMA) Canad’s Building Environmental Standards (BEST), 85 per cent Fitwel-certified for well-being, and has achieved a five-star rating from GRESB, a global standard for sustainability performance of companies. Over the past decade, the company has done sustainable real estate by reducing the environmental impact of its buildings, while protecting natural resources and preserving the health of the planet.